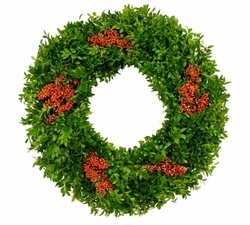 Home > Holidays > Holiday Wreaths > Boxwood w/ Berries 24"
This wreath is a holiday classic, made with fresh Boxwood foliage and accented with berries, it is sure to get everyone into the Holiday spirit. This item is 24" in diameter and will usually last 2-3 weeks, depending on the climate. 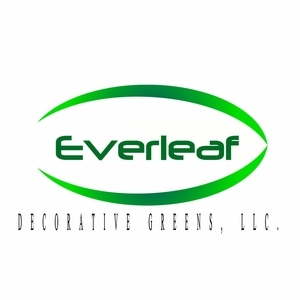 Available in Round or Square.